Over many years Pioneer Printers has been the sole producer of mathematics, science and music braille codes. 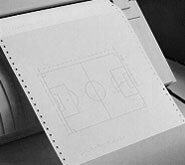 In recent years we have added braille production in computer literature and braille tactile graphics. Up to now we are the only national braille producer specializing in the above mentioned subject areas. 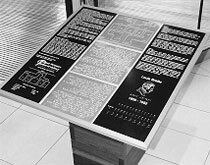 Pioneer Printers also had a world first in producing a braille atlas in tactile, audio and large print format in 2007, in conjunction with National Geo-spatial Information (NGI), a component of Department of Rural Development and Land Reform (DRDLR). We also specialize in producing various examination papers in braille, audio sound and large print. 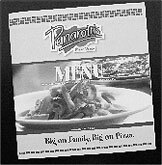 various menu’s for national restaurant groups such as Spur & Pannarottis, McDonalds, Wimpy, Steers, etc. braille plaques and brochures for national botanical gardens, walking trails or routes, museums, etc.